One aspect of adoption that continues to distress me is my belief that some people are seeking the perfect child to adopt. They don't want a child with special needs, and they don't want any problems down the road. They adopt their healthy infant and presume life will be great. After all, their child has no medical problems, was not born to a drug or alcohol-addicted mother, and the doctor says the baby is just fine. In fact, the baby's perfect. But children aren't perfect. As pro-adoption as I am(and I am), I think it's important to realize that your healthy baby could develop problems in the future, and you cannot and should not presume that everything will be just fine forever. Parenthood implies inherent risks, and this fact needs to be recognized. One of my friends adopted a baby who doctors said was healthy. Later the child was diagnosed with cerebral palsy, necessitating medical treatment. But when my friend tried to tell people in her adoptive parent group about this problem, they weren't interested. Not at all. “We don't want to adopt a child with special need, “she was told. Her words, “But my child was born healthy!” Fell on deaf ears. My friend was severely frustrated. My biological daughter, now 15, was born as a healthy infant and was progressing along well. Then she was derailed by puberty. She now suffers from major depression and must see a psychiatrist for her chemical imbalance. Who could have predicted that? Not me. Not her teachers. Not her doctor. Not anybody. The last thing I want to do is take away from the joy of adoptive parents who are so thrilled with their new baby. But with this great happiness that you now celebrate at finally adopting your beautiful child, maybe the thought that parenthood is a big risk-taking endeavor could be tucked away somewhere in the back f your mind. Maybe you could also think about how you love this child so much that you'll do everything you can help him or her if there are any problems down the line. I think it's important to understand that parenthood is a tough job. You shouldn't sign up unless you're willing to tackle the hard times as well as the fun ones. 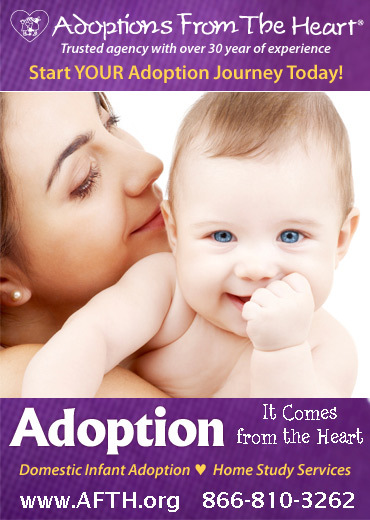 Sometimes this fact doesn't sink into prospective adoptive parents. There is an up side to parenthood and also a down side, and it's important to accept both aspects. When you adopt a child with special needs, you know it may be difficult and you are(hopefully) prepared. But I wonder how many People who adopt healthy infants- or who bear them-realize that their children could possibly develop problems in the future. To avoid confusion, I'm not saying all adoptive parents should adopt children with special needs. Adopt a child with special needs only if you believe your family can provide the right kind of care and only if you want to parent a child with special needs. I am also not saying that you beautiful baby is ticking time bomb who will develop some dread disease in the future. 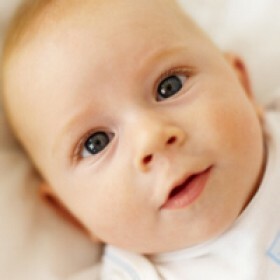 In most cases, the healthy baby of today will be healthy child of adolescent of the future. But allow for the fact that there could be problems. Parenthood conveys great responsibilities. Perhaps adoptive parents are better prepared than most biological parents because we are forced to do some self-analysis and undergo the scrutiny of a social worker. I hope that we also realize that situations change, and we must be flexible and adaptable. I hope that people seeking to adopt the “perfect” child will re-examine their motives and their expectations. There are not perfect children, whether they are born to you or adopted by you. I believe our children are gifts from God, and we are entrusted with the extremely serious responsibility of doing the best job we can parenting them. If we will start by throwing out this idea of the “perfect child,” we will be doing our children and ourselves a big favor.